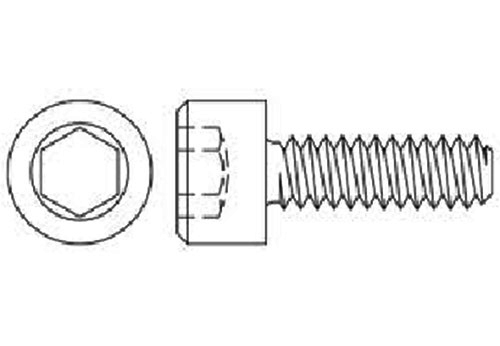 A type of bolt with a recess inside the bolt's head. Socket head cap screws require assembly with a hex key (Allen Key) or a hex bit driven by an impact tool. Hex socket (Allen) drives are compact and easy to drive, but prone to cam-out. B7 Hex Keys in both US and Metric are in stock at Bayou City Bolt. Sizes range from 1/16” thru 2” and 1 MM thru 36 MM. Flat heads - countersunk (cone shaped under the head) with a flat top. 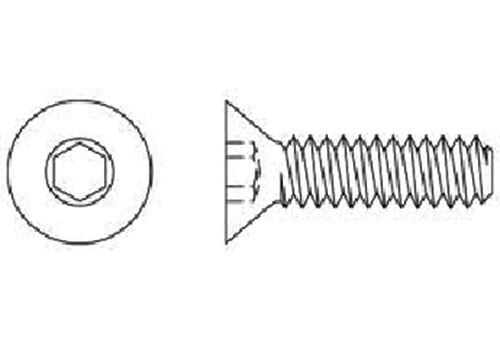 A set screw is a type of screw used to secure an object within or against another object. Pulley's, gears, and shafts are the most common uses for set screws. 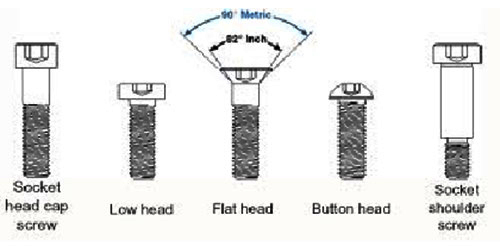 Set screws are usually headless, (no head projecting beyond the major diameter of the screw thread, and fully threaded. The set screw passes through a threaded hole in the outer object and is tightened against the inner object to prevent it from moving relative to the outer object. It exerts a clamping force through the bottom tip that projects through the hole. Set screws can have a variety of tips, including but not limited to - cup point, knurled point, cone point and dog point.